We invite you to share in worship with us as we celebrate Holy Week and Easter. Sunday, April 21 - Easter Sunday: 7 am Sunrise Worship by the pond, 9:00 am Modern Worship, and 11 am Traditional Worship. Maundy Thursday will be Thursday, April 18 at 6:30 pm. Join us for this contemporary service where we will remember the last supper through worship, serving one another, and communion. 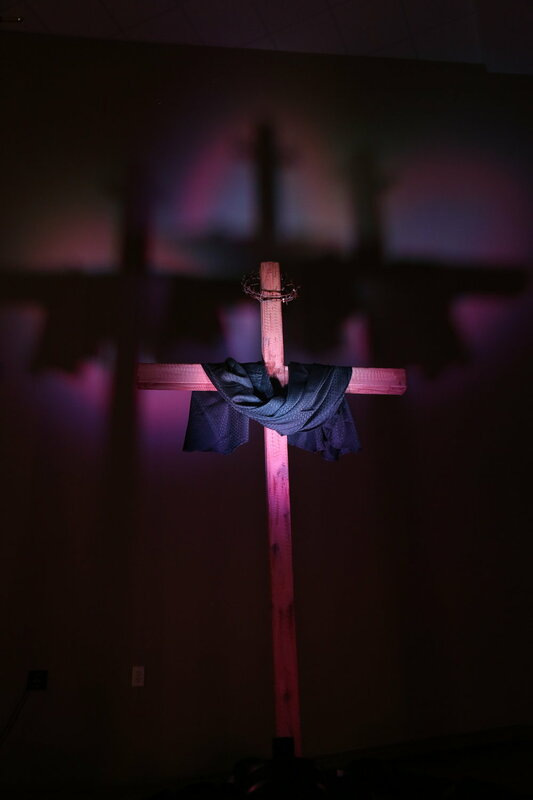 Our Good Friday service will be Friday, April 19, at 6:30 pm. Join us for this service where we will remember Jesus' sacrifice through beautiful choral music and a reflection from Pastor Chris. The Family Easter Worship Service & Egg Hunt will be Saturday, April 20 at 5 pm! All children and their families are invited to join us as we celebrate Easter in a meaningful way to children. This service is free to the public and very child-friendly with an Easter Egg Hunt and fun activities immediately following. 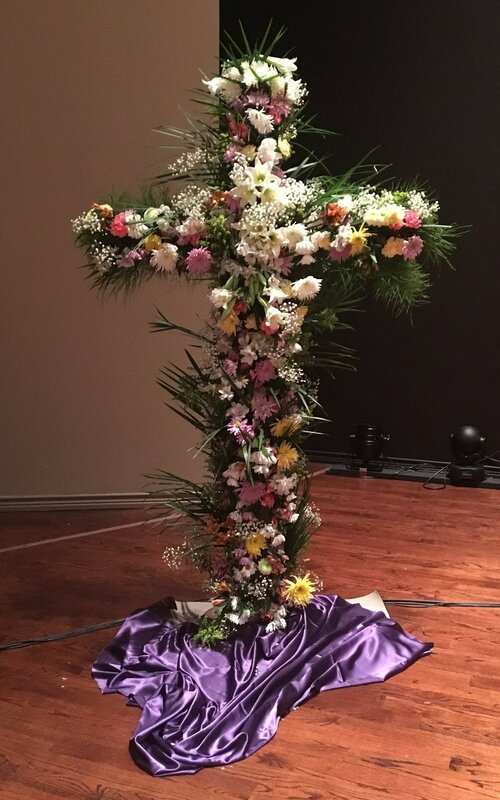 Join us as we celebrate our risen King through live music and an inspirational message at our 7:00 Sunrise Worship service outside by the church pond, 9:00 Modern Worship, or 11:00 Traditional Worship. Remember there will be no Sunday School for adults or children. There will be childcare available for children ages 4 and under at all services. Every year, we honor and memorialize our loved ones by purchasing Easter lilies. These lilies not only honor them, but they help us make our sanctuary a warm and welcoming place for our guests who will be joining us for Easter. All proceeds from the sale of the lilies goes towards upkeep and maintenance of the church. If you would like to honor someone special in your life in this way, please order your lilies below. After Easter, we invite anyone who ordered lilies to take their lilies home with them. A link will be available here beginning March 31. Pick up a Yo’ve Been Egged! bag from the SMAC. The bag will contain 10 stuffed Easter eggs for families to set up an Egg Hunt for a friend or neighbor they'd like to invite to AUMC Easter Celebration. These will be available beginning March 31 and limit one per family please. Please consider donating $10 for our Easter Egg Hunt or bring a dozen stuffed eggs (no chocolate please) to the basket at the Children's Desk Check-In.